Hemp seeds, also known as Hemp hearts, have been attracting more and more attention in the health food industry, as their health benefits become more known and they become more popular. 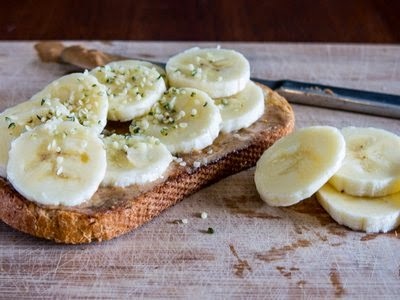 Hemp seeds are one of the most versatile nutrition-packed foods available and can be added to sweet or savoury dishes. They go just as well with cereal as they do with salads. Hemp seeds are soft and very easy to digest, their protein content and essential fatty acid profile make them a fantastic additive to anyone's diet. Hemp hearts are rich in essential fatty acids and as a complete protein, contain almost as much protein as soybean. Hemp seeds are also rich in Vitamin E and minerals including phosphorus, potassium, sodium, magnesium, sulfur, calcium, iron, and zinc. Source of Essential Fatty Acids Hemp is an important source for essential fatty acids (EFA's). EFA's are not produced by the body and need to obtained from food. Hemp foods are one of the best sources for the full spectrum of EFA's. Hemp foods provide a balanced ratio of Omega 3, 6 and 9 fatty acids. The fatty acid ratio in hemp is extremely close to the fatty acid ratio found in the human body. This makes hemp special because it will not upset the body's natural fatty acid balance the way other oils can. Hemp foods are a great source for easily digestible protein. This makes hemp an important food for those on a vegan, vegetarian or raw food diet. Hemp foods also provide the 8 essential amino acids. These amino acids are important because your body cannot make them and they need to be obtained from food. Hemp seeds add great texture, nutrition and flavor to yogurt, snacks, salads and smoothies. Just as you would add a couple of tablespoons of Chia seeds or Flax seeds to your snack or meal, you can add hemp. You can account for hemp seeds as your protein and healthy fat source. Hempseed Oil has been used as a food/medicine in China for more than 3,000 years. Obtained by pressing the hemp seeds, hempseed oil is not suitable for cooking because of its high heat intolerance. It can be substituted for olive oil as a salad dressing and will add a nutty and crispy taste to food.